The ever-changing recruiting process introduces new ways for recruits and coaches to get in contact. Proactive recruits try their best to get ahead of other athletes by reaching out to coaches as soon as possible, while coaches are becoming more active on social media sites, hoping to connect with potential prospects better. This is just the nature of college sports; if you are ready to be proactive and adapt easily to changes than you will have a greater chance of getting recruited. Reviewing recent recruiting stories and how 2012 graduates successfully secured scholarships on their own, I came across one story that should benefit all recruits who are looking to compete at the college level. As a senior football recruit, Dylan Cantrell realized he was not going to be successful in his recruitment if he did not act fast. Cantrell had continued through high school doing nothing to increase his chances of getting recruited. It was not until he decided to take an active approach through social media that he began to see positive results. He logged on to Facebook and began to contact, “Friend” or “like” pages of people who were all somehow connected with college football. He turned his own Facebook page into his personal recruiting website; he updated his status by posting his new game stats and uploading highlight footage after each game. He went from a recruit with no offers going into his senior year to a recruit with 8 top colleges all offering him some type of scholarship and a chance to play. Going into his senior year, Cantrell realized he was running out of time, he was not actively talking with any college coaches, but knew he wanted to play at the college level. He decided to take his recruiting seriously and do all he could to get coaches to notice him. 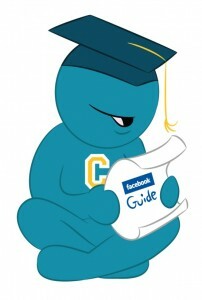 The key to his recruitment with the assistance of Facebook was his diligence. He was able to capitalize on the offerings of Facebook much like college coaches are able to do. He took time to reach out to anyone he could, and he just kept at it. Once coaches were able to see what Cantrell could offer their programs, and how his senior year stats were consistent with what they were want from prospective recruits, he was able to create a buzz among college coaches and scouts. Coaches began to message him and log on to see how Cantrell’s latest games went; the were also able to easily review his current highlight footage (coaches are not allowed to communicate with athletes on their Facebook Wall or Twitter Feed because they are not allowed to publicize their recruiting, but they can Facebook Message or Direct Message athletes on Twitter). Coaches at all college division levels are utilizing social media for their recruitment. They are able to talk with recruits through messaging and will be more likely to communicate with you after you have reached out to them first. Let Cantrell’s recruitment story be an inspiration to you. If you take the time to make your recruitment a priority, you will see results. If you have any more questions about how to incorporate social media into your recruitment than leave a comment below or connect with us on Facebook and Twitter.